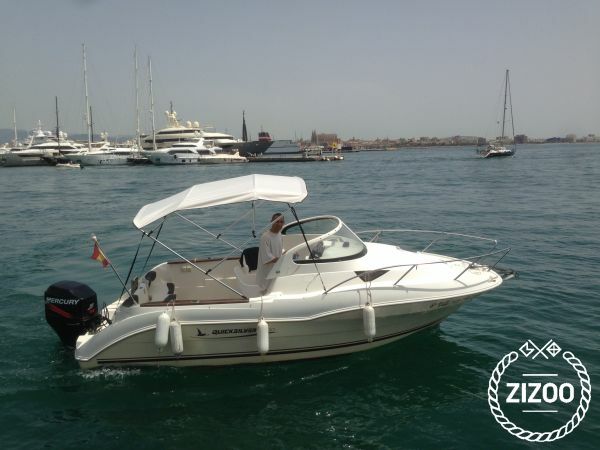 Attractive and spacious day cruiser that with its clear tub with seats for 6 people, use of free surface of bow as solarium and cabin for two people with V bed rest, will allow you to spend a pleasant day. The bathtub can be converted into a useful dinette by turning the steering seats and installing the picnic table, or when you prefer in a large solarium with mats. The folding bathing ladder will make it easier to enjoy a dip in coves far from the hustle and bustle of the beaches. The Quicksilver 620 Cruiser is the ideal sport cruiser in the range of lengths of less than 7 meters.